Several U.S.-based Christian denominations have gathered this summer at their national governing bodies for the sake of fellowship and to discuss prevalent topics of the day. The Evangelical Presbyterian Church (EPC), a theologically orthodox denomination, hosted their assembly June 19-22 in Memphis, Tennessee. It is one of the largest Presbyterian sects and growing rapidly. Neil Smith, lead pastor at Faith Evangelical Presbyterian Church in Alexandria, Virginia, was among the many attendees. During the four days, Smith heard from speakers including comedian Michael Jr., Reformed Theological Seminary’s Ligon Duncan, and Senior Pastor of Hope Church in Memphis, Tennessee Rufus Smith. The address that stirred the heart of Smith the most was Greg Thompson, a Presbyterian Church in America (PCA) pastor and scholar on Dr. Martin Luther King. During Smith’s sermon delivered on June 24, 2018, he expressed how he felt undone in the face of Thompson’s obvious passion. Thompson spoke about the “powerful legacy of white supremacy in America and of our continuing need for racial healing at every level of American life: in the personal, relational, institutional, and civilizational dimensions of life.” He pointed out the legacy of racism that badly needs to be repaired. 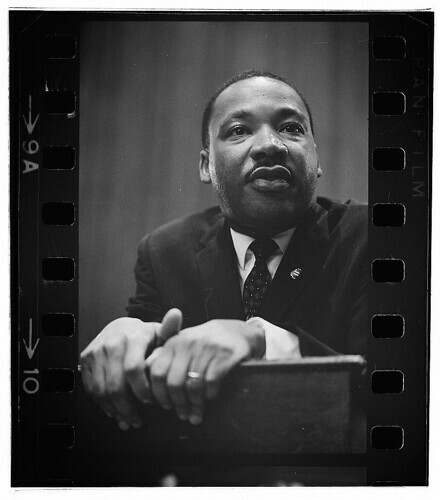 The sermon delivered by Thompson was timely, in the wake of the 50th anniversary of King’s assassination on April 4, 1968. The majority of King’s adulthood was spent striving for the possibility of life as it is today; a time when people of all colors could live together in relative harmony. As a nation, we have come far from segregation and Jim Crow-era laws, but let us not be jaded into believing the struggle to end racism is over. Not only is the struggle unfinished, but it takes place within our Christian communities. Racism is not a denominational issue, neither is it merely political. I would argue, above all else, it is a spiritual issue. Racism stems from a corrupted concept of the innate value of humanity. Therefore, it is understandable that the problem pervades all aspects of life; personally, politically, and religiously. We do not have to be Caucasian to be the kind of “white moderate” that King is talking about. This sort of person becomes us every time we see injustice and, instead of speaking out, choose silence so as not to disturb the waters. We relate to the white moderate when we tell ourselves, “Not now, but later.” When we shirk into the background in times of conflict knowing what’s happening is wrong, we become a little more akin to the man King described. Prevalent issues of racism within the Church may not be as common as they once were, but they still occur. A specific example of seeming racism was in the situation of Raleigh White Baptist Church (RWB), based in Georgia. The church was “expelled from the Southern Baptist Convention (SBC) over racial discrimination charges.” They agreed to share a building with New Seasons Church (NSC), a predominantly black congregation, resulting in strained relations. The final straw came when RWB hosted an event during the NSC’s church service. The black congregation was told to wait in their cars until the event was over and were not allowed to use the restrooms. These kinds of things should not be stood for and — in this situation — the SBC rightfully expelled RWB. Representatives of the congregation cannot take part in the convention until repentance and steps towards reconciliation have taken place. The SBC acted swiftly in a circumstance where injustice was apparent and we are called to do the same.